Nothing comes free, and freedom certainly doesn’t — so while you are making your choices, gather the strength to live by them too. 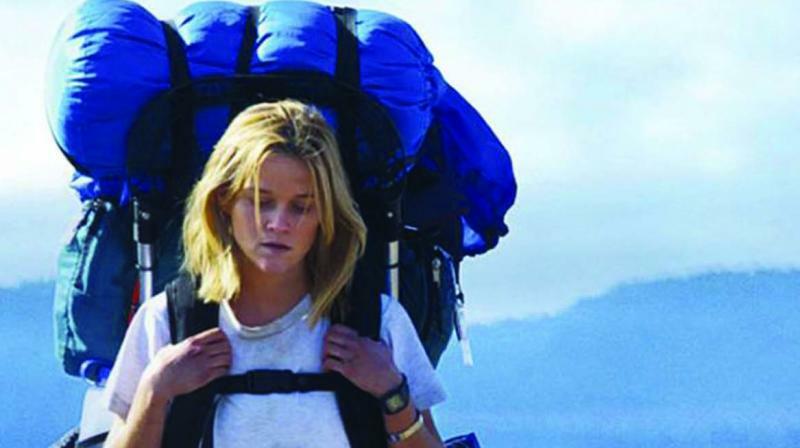 A still from the film Wild. Freedom of individual choice is something worth striving for. The corollary to this is you having to be able to take on the consequences of your choice. If in all her choices a woman in a patriarchal society like India is victorious, she may even win the turn-around admiration of a family that put forth embargoes upon her. A story that I read comes to my mind, of the young spirited Hindi film actor Kangana Ranaut. Her aspirations were so clear in her mind, and so divergent to her family’s conventional vision for her that she took an extreme step of ‘running away’ with no more than her commitment to her own life, gambling on her destiny! And here she stands victorious, successful and living life at her own terms — saying and doing exactly what she believes in and what she’d like for herself. She is forty and is an ideal house-keeper, along with a job and a man-Friday. Exactly the life she had planned for herself! But it's not the same mind-set she had at 21! She wants, needs and desires the husband, the baby and that bit of muddle and chaos of it all — but the horizons are sterile! Regrets may raise their heads but one has to stand by ones decision or take the plunge. Fifty is the new thirty isn’t it? I’m saying that once you’ve made your choices you might want to design a future to suit those choices and do what it takes to accommodate a change of perspective without regrets. And definitely don’t cave in to moral policing. Often it is about people vying for a puffed-up chance at self-importance or persons seeking to vent their own life’s lack of choices, giving rise to a frustration (or they might burst)! Your business is your business unless you are crossing parameters of law, public decency or harming those around you in some manner. Moral policing, unfortunately in our country, often invades life at all levels — from the neighbouring ‘aunties’ who wonder whether that man floating around with you is a husband or a horror ‘live-in’ or even chide persons for a dress-code not to their conformity. Here I’ll repeat the Dalai Lamas words — it’s one connected world! We are all points of light on one eternal expanse of light intelligence, consciousness — any pain or grief felt at one point is reverberated through to create a less happy existence for all. So yes, every one does have to chart their own journey and live and improvise through the consequences!